Cleaning solution to eliminate bad odours and residues from your washing machine. Containing 3 tabs x 120 grams each. Keeps the washing machine clean and fresh. Performs perfectly on all washer brands and types. Efficient and effective. Eliminates residues of detergent, softener and greasy dirt. Removes limescale in your washing machine and dishwasher. Box of 10 single doses for monthly usage. Improves performance and extends the life of your appliances. A complete solution for a customer seeking thorough maintenance and care for their washing machine. Action 3 in 1: antiscaling action, cleans the internal parts and removes detergent build-up. Helps to ensure the correct maintenance of the appliance. Powerful magnets help to reduce the build up of limescale protecting the heating element. It can be used on washing machines or dishwashers. 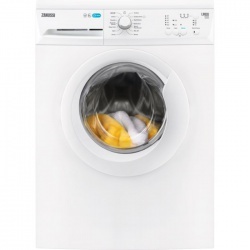 This washing machine can wash a full 7kg load in just 28 minutes, speeding up your everyday wash. Its slim depth makes it easy to install, and LED progress indicator lights help you keep track of each cycle. Perfectly matched to your family's everyday washing needs, this 7kg capacity washing machine can wash up to 35 shirts in one cycle, saving you time and money. With its A++ energy rating, this Whirlpool Washing machine will allow you to enjoy both ideal results and lower energy consumption. This Whirlpool Washing Machine offers 6kg drum capacity for your laundry. Quick wash programmes allow fast cleaning of smaller loads. Ideal for when you're in a hurry, this programme washes a 2 kg load in just 14 minutes. 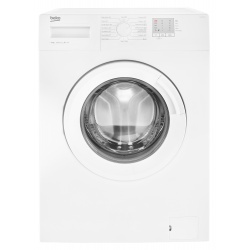 Large drum sizes allow you to wash more in one go, making life easier and saving you money. You can wash 40 shirts in one wash cycle. That’s why it’s ideal for large families who frequently wash large loads and bulky items. You’ll end up saving even more time and energy. 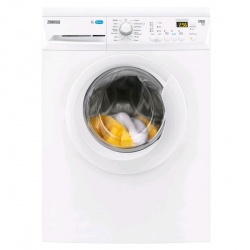 Automatic water level reduction for half or small loads This Beko appliance automatically reduces the water level for half or small loads, saving you money on utility bills. The 6th SENSE Colours programs ensures outstanding colour care and unparalleled fabric protection. Each 6th SENSE program optimizes washing performance for a specific colour set, regardless of fabric type: Dark, Light, Mixed or Whites. This Whirlpool Washing Machine offers 7kg drum capacity for your laundry. An energy efficient and spacious 8kg washing machine that can clean a full load in 39 minutes and has an extra large door to help you easily load the drum. Features 8kg load capacity which is ideal for larger households, and an Interactive LCD display with time display and function selection. 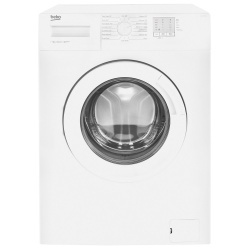 This Indesit freestanding Washing Machine features: a spacious 9kg capacity. A fast, resource-efficient 1400 revolutions per minute spin speed. White colour. The Extra Wash cycle is the ideal solution for all dried, stubborn stains such as coffee or chocolate. Select it alongside any fast cycle to enjoy outstanding washing results for your laundry. A safe, effective, gentle wash for your precious baby’s items, it work wonders on dried stains whilst removing common allergens. The special Duvets programme is designed to effectively wash duvets and other padded items, protecting their fabric and maintaining the feathers evenly distributed. Perfect for big, busy families, this washing machine can wash a large 10kg load in just 28 minutes and can also shorten other programme durations to save you even more time. To top it off, the energy efficient motor provides a quieter wash, and comes with a 10-year guarantee. You don't need to wait hours for your washing machine to finish its cycle thanks to our Daily Quick programme. You'll be able to wash a large load of laundry, even as big as 10kg, in just 28 minutes - saving you time and money. Perfect for big families who always wash heavy loads, this washing machine's large drum size can save you time by washing more laundry in one go. You can wash up to 4 double bed linen sets, 13 towels or 50 shirts in one cycle - saving you money on your energy bills. Great for allergy or asthma sufferers, our Anti-Allergy programme, endorsed by Allergy UK, helps reduce the amount of allergens in your laundry including cat, dog and pollen allergens, as well as bacteria and fungi. The Synthetics 40 programme effectively removes stains from your synthetic items, using a low-temperature 40°cycle in just 59 minutes. The Mix Coloured 40 cycle allows you to wash mixed coloured garments safely and effectively at 40°, in less than one hour. Enjoy clean, vivid colours, always.